This page will soon become the new blog site for Poetica Victorian. Please visit out new website for all other needs. This page will soon become our new blog. Please visit our website for all other purposes. 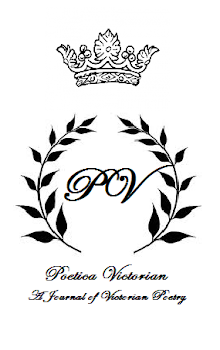 Poetica Victorian is a free online journal, so feel free to subscribe to our magazine by clicking the subscribe link at the top of the page or by clicking here. Subscribe for free Today! The Society is a group of people interested in promoting and reviving the greatest arts of the human race. Currently, the Society holds an annual poetry competition and publishes an annual journal. Also, the Society uses its website as an ongoing online poetry journal for publishing poetry and art, as well as related content. The Society publishes poetry in four themes: Beauty, Great Culture, Falun Dafa (a Buddhist spiritual practice), and Humor. Poetry using classical forms such as meter and rhyming are preferred. This blog is copyright 2013 by Poetica Victorian Press, Inc. All rights reserved. Simple theme. Powered by Blogger.